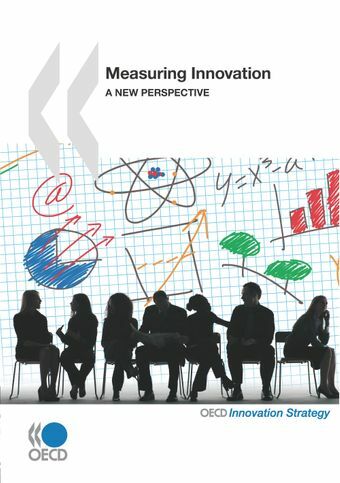 Measuring Innovation: A New Perspective presents new measures and new ways of looking at traditional indicators. It builds on 50 years of indicator development by OECD and goes beyond R&D to describe the broader context in which innovation occurs. It includes some experimental indicators that provide insight into new areas of policy interest. It highlights measurement gaps and proposes directions for advancing the measurement agenda. This publication begins by describing innovation today. It looks at what is driving innovation in firms, and how the scientific and research landscape is being reconfigured by convergence, interdisciplinarity and the new geography of innovation hot spots. It presents broader measures of innovation, for example using new indicators of investment in intangible assets and trademarks. Human capital is the basic input of innovation, and a series of indicators looks at how well education systems are contributing to the knowledge and research bases. Further series examine how firms transform skills and knowledge, and shed light on the different roles of public and private investment in fostering innovation and reaping its rewards, with concrete examples from major global challenges such as health and climate change.Measuring Innovation is a major step towards evidence-based innovation policy making. It complements traditional “positioning”-type indicators with ones that show how innovation is, or could be, linked to policy. It also recognises that much more remains to be done, and points to the measurement challenges statisticians, researchers and policy makers alike need to address.